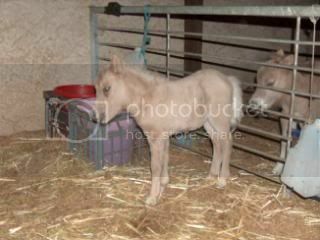 As our beloved duck was taken by a fox the other night, it got me wondering with my first foal coming up. We have several foxes and dingoes that roam the bush and properties in our area. The dingoes are rarer, and neighbouring properties do put out bait for them, but I have seen the odd one every now and then. 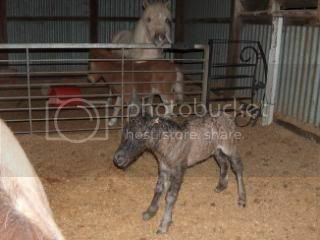 Question is...will they try and take a newborn miniature foal? And if so, how is the best way to keep them out of a yard? I don't have access to stables. The best thing I could do would probably be to make a temporary stable in our machinery shed, or a temporary foaling yard. Looking for some good tips Thanks! Thank you very much for the advice and the pictures, they were fantastic!!! I'll get cracking and set something like that up. I spoke to one of the neighbours and apparently the dingoes AREN'T as rare as I thought. Apparently they're a big problem when the calves start being born. Last thing I want is my baby taken. Subject: Re: Wild Animal threats?